-Mirage Quattro is our fourth generation full face mask, delivering an individualized fit for over 95% of users. -Mirage Quattro's MicroFit dial offers a choice of 24 positions on the forehead support to suit individual facial structures. -The mask's Spring Air cushion technology accommodates movement during sleep and provides an effective solution for jaw drop. -Streamlined design and quiet performance, Mirage Quattro looks sleek, feels light and is easy to fit and use. 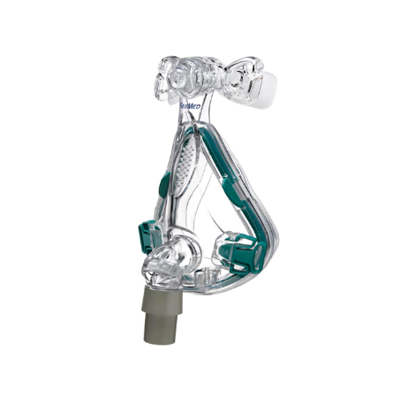 -Mirage Quattro has fewer parts than other full face masks, making it easier to handle, assemble and disassemble for cleaning.